Description: Need napkins to spice up your event? These 3 ply pattern napkins can be printed in a variety of ink colors with up to 3 lines of copy (or a motif and 2 lines of copy). Or send black and white art of a company logo and we can print that! 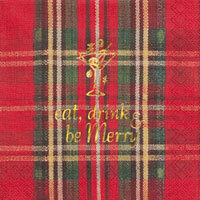 Great for hostess gifts, parties with themes or gifts for anyone who entertains. The designs shown here are available as a beverage or luncheon.